Guy Verberne is responsible for all macro-economic analysis within PGGM Investment Management - the second largest Dutch pension fund service provider, with currently €200bn under management. Guy started his career as a policy advisor at the Dutch Ministry of Finance, before moving to the banking industry, where he has worked as a fixed income portfolio manager and chief economist (most recently at Fortis Bank Netherlands). 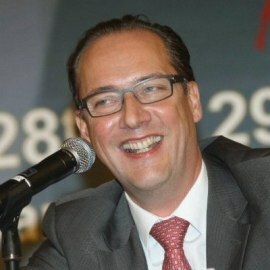 He has a master’s degree in economics from Erasmus University Rotterdam, specializing in monetary economics and finance.